HONEY has arrived for the holidaze! This poor, sweet gal has, you might say, "been rode hard and put up wet." 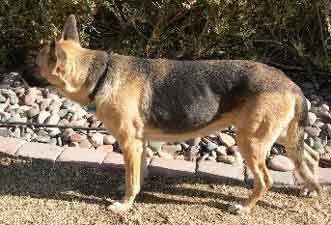 ...She's obviously had many litters and was found living on the streets of Tucson with her two 12-14 week old pups. Her Good Samaritans, Christina & Jessica took them all in and contacted us for help. One of the pups has already found a forever home and they might just keep the other. They considered keeping "Mom" but, despite being skinny and debilitated, she could not squelch her prey drive with their cat! While making certain the kitty was safe, they held onto our "Honey" until we could locate yet another Good Samaritan in the Phoenix area to interrupt their holiday and take this tired Mom into foster care. We're going to give Honey some time to settle in and fatten up before we vet and spay her and tend to any other medical needs. We know that she is very loving and craves human attention. She gets along with other dogs and is currently sharing her foster home with two greyhounds. 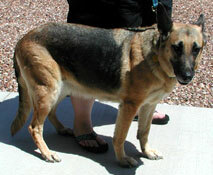 She also did very well with all of the dogs she met in Tucson. NO CATS!! She's very calm (except when there's a cat around ;-) is housebroken and super sweet. Honey will not be shown for two weeks. We will be doing blood testing, spaying, microchipping, etc., before she is ready to meet her public. Many thanks to our foster Mom Jessica for stepping up to the plate yet again and to our Tucson contingent for letting us know about this lady in need. No more looking over her shoulder; safe at last, Honey takes a swooze. we will see more of a light shine from those beautiful eyes. UPDATE 1/01: Honey Bunny's latest foster report indicates that's she is adjusting well. She's quiet and calm yet playful. She loves and asks for affection..a real cuddle bug. She is obviously accustomed to being outside and might even have been "strong armed" by a man, so she's a little tentative with some men that appear to resemble whomever mistreated her. She does warm up quickly once she realizes there is no threat. Honey is well behaved in the house, is eating and eliminating well and is slowly gaining weight. She is also very smart and learns quickly. She does well with children. She will leave the room if there's a lot of chaos so kids over eight would be best for her. We are going to try to schedule her blood work and spay for this coming week after which she will spend a week recuperating followed by her staff evaluation. We know she is over 5 years old but it will not be until she is vetted that we can tell much more. Given her past, we would love to see Honey have the kind of life she seemingly hasn't had. Someone who has lots of at-home time for her and perhaps a male playmate that's not too over-the-top would make her very happy. Honey is way down at Gold Canyon Ranch; the opposite end of town for us, so we will wait until she is all healed from her spay surgery before we evaluate her. UPDATE 1/5: Yesterday Honey went to the vet for her exam and blood work and possibly her spay surgery. One listen to her heart and lungs and our Vet advised he would not do the surgery until we got the results of her blood tests. Today our suspicions were confirmed: It's no wonder our sweet Honey has a forlorn look; she is positive for Heartworm and Erlichiosis (Tick Fever) and her Valley Fever screen is still pending! People, human beings, are responsible for the hand that Honey's been dealt and it's humans that will take responsibility for trying to change it. We have chosen to do whatever it takes to try to restore her to health and vigor. It will be a long, difficult, expensive and bumpy road, yet we are committed to taking her as far as we are able. The medications she will require are, in and of themselves, toxic and not always well tolerated. The combinations required will present additional challenges. There will be many subsequent blood tests, X-rays and various diagnostic procedures. The next step is to try to ascertain the extent of the damage already done. Based on that information, our treatment plan will be determined. Honey needs our help and we need yours. Let's try to make up for the struggles and neglect she's come to know. We need ANGELS for Honey. UPDATE 1/6: HONEY was NEGATIVE for Valley Fever. We ran an additional Antigen test on her blood today, the results of which were favorable. Her treatment starts on Sunday. We're going to tackle her Erlichia first and keep those nasty worms at bay until we feel she is strong enough to handle the Heartworm injections. UPDATE 1/9: We delieverd Honey's medication today and were surprised to see how flattering her photos are; she is very small and thin and almost fragile looking. She is out of coat with a scroungy looking tail. It's easy to see that this is a sick girl who is not feeling very well. Just the same, she is about as sweet and trusting as she is sick. Honey is very thin and out of coat--Watch her IMPROVE! Honey Bunny's progress (or setbacks) will be chronicled here on her page. All donors will be added to the Angel Rooting section for a game we expect her to WIN! "Let's Go, Honey. We're Rooting for You!" 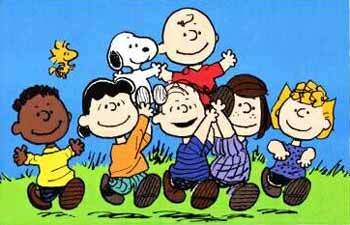 Honey's Angels - THANK YOU!! FOSTER REPORT 1/16: She has gained quite a bit since I first picked her up. She absolutely loved the TV repairman - there are some men she will go to immediately, but others like my Dad who she is still tentative around. The fish oil pills seem to be helping her dry skin itching - she still does it but not so much anymore. She takes her meds no problem on cracker with peanut butter - and no diarrhea from them either. She will still "counter surf" if given the chance, but I keep most things off the counter now and watch any food low enough for her to get to. That seems to be her only real vice. She loves to be right on top of someone - I almost ended up with a cracked skull as I was doing the dishes and she layed on the floor behind me and I didn't know she was there so when I moved my foot back I almost tripped over her backwards. Luckily I caught myself and now I try to watch were I step. She just wants to be near her person, but it is not something she has to do 24/7. She also likes to lay in the backyard and relax in the sun (or roll in the grass). So I do not think she would have major problems with someone going to work, etc. UPDATE 2/10: Honey has completed her initial round of medication and will be making a return visit to the vet on Valentine's Day, 2/14. She will have another blood draw to retest her titer for Erlichia as well as a chest X-ray. Her exam and the results of her blood test will tell us if and when she is ready to begin her Heartworm injections, which have to be special ordered. Big hugs to foster Mom Jessica for making the long round trip to our vet XOXO, and to Honey's entire rooting section for the help with her medical needs. The results of her exam will be posted here next week. UPDATE 2/14: Today Honey made another trip to the vet for a blood draw and chest films. She has gained some weight and now checks in at just under 71lbs...her ribs are slowly disappearing! We were fortunate to have bumped into one of, if not the best, sonographer in the West at our vet's office..Dr. Robertson. He was kind enough to have a look at the two chest films we had just taken and concurred with our vet; Honey is almost ready to start her treatment for Heartworm. We are waiting to see if she is negative for Erlichia first..should have the results by Thursday. In the event she has conquered the Tick Fever, the Heartworm meds will be ordered and treatment started. If not, more aggressive treatment for the Erlichia is in her future. The really good news is the expression on this gal's beautiful face; there's a sparkle in her eyes now that definitely was not there before :-) She was wonderful with the Vet and friendly toward everyone. She's looking and feeling so much better. Everyone fell in love with this sweet, gentle spirit. UPDATE 2/15: Unfortunately Honey's blood test still revealed a strong positive for tick fever. We will be discussing the possibility of a course of Imizol with her Vet to see if he thinks it appropriate. This involves a series of injections and hospitalization for observation following each. Honey's overall condition is greatly improved, so we're optimistic about her beating this. We knew it would be a bumpy road but we are in for the long haul..please keep rooting for our gal! UPDATE 3/18: We've decided to move forward with Honey's heartworm treatment and forego the Imizol. We did a lot of research and the concessus was that the Imizol treatment has not been all that effective yet painful. The heartworm injections were ordered last week and arrived yesterday. Now it's just a matter of coordinating the best time for her foster Mom as Honey will need to be closely monitored after her first shot. Assuming we get through that critical 30 day post injection period without a glitch, she will have a 2nd shot to take care of any microfilariae, the larvae stage of heartworm. Then some more blood work which will be sent to Cornell University to ensure we have a totally accurate status and titer of her Erlichia. Beyond that, she will be spayed, chipped and started on a whole new life! A great big hug to all of those who have so generously supported Honey's care. There's lots more rooting to do. UPDATE 3/22: We scheduled Honey's treatment only to find out that her foster Mom's parents left for a month long vacation and left their very active young Kelpie mix with her while they're gone. We are concerned that the visiting dog will want to play putting Honey's recovery in jeopardy. In addition, Foster Mom will be at work all day and her parents, who usually stopped by to check on the dogs during the day, are now out of town. We're looking for a calm & quiet adult environment, preferably where someone is not gone all day, for her recovery only. 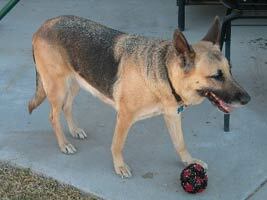 Honey is an easy keeper and will not require much. It is imperative that following her treatment she be kept as inactive as possible, so she will not even need to be walked. We would also prefer to have her closer to us in case she needs medical attention. Such a temporary home in either the Northeast, North or northwest part of town would be great. No cats! READING THE INFO ON THE SITES ABOVE WILL, NO DOUBT, ENCOURAGE ALL DOG OWNERS TO START HEARTWORM PREVENTION BY APRIL. 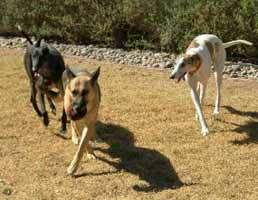 WE CAN NO LONGER DENY THAT HEARTWORM IS NOW ALIVE AND WELL IN ARIZONA! UPDATE 4/8: Looks like we'll have to wait until her "grandparent fosters" are back from their trip before we can move forward with Honey's heartworm treatment. That should be very soon after the 22nd of this month. She's still getting her monthly dose of Heartgard and is now off all other medications. UPDATE 4/12: Honey's initial heartwrom injection is scheduled for April 28th...we're all holding onto positive thoughts. UPDATE 4/29: Our gal had her nasty shot yesterday; she did very well as she had been sedated. 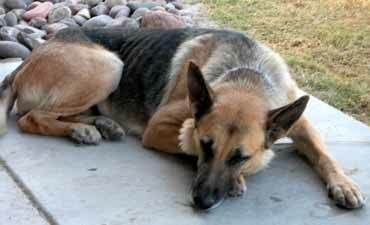 Once home, however, the pain set in and she was pacing and limping, unable to find a comfortable position. 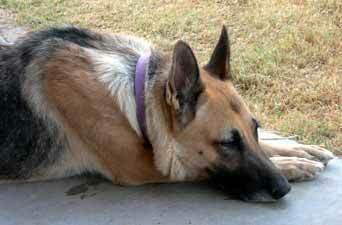 The injection is given in the lumbar spine so she will remain sore for several days. She went home with a week's supply of pain meds and under the watchful eye of her "grandparents" so she will have company and care 24/7. Knowing that those creepy worms will soon start dying off will be our consolation for her discomfort. Barring any complications, Honey goes back to the vet in 30 days for an overnight stay and two, successive injections, followed by more blood work. Once she's been given a clean bill of health, well, it's still not over for our Honey Bunny as she will then have her spay surgery. The month of May is definitely rooting time for this tough cookie! Honey weighd in at 72 pounds...a nice 10 pound gain since rescued! Our sincere thanks to everyone on her team..we could not have treated her without your help. UPDATE 5/7: Honey has, so far, tolerated her treatment well. 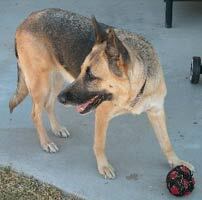 She is still favoring her hind leg but it hasn't seemed to slow her down nor has it affected her mobility. The next 2-3 weeks are critical...Go Honey!! 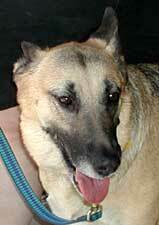 UPDATE 5/18: Our Honey is doing great; her final heartworm treatment is scheduled for May 30th & 31st. She will be hospitalized for two days and miserable for a while after that but well cared for and much loved. Her grand-foster-parents are falling head over heels with her super sweet temperament. We're very optimistic yet we still need help with her ongoing medical bills; there's an additional vial of Immiticide, more blood work, microchip and spaying to go. UPDATE 6/3: Hopefully the worst is over for our girl! She did well, is still on pain meds but not limping or favoring her hind quarters...and she managed to handle 4 vials of Immiticide, a total of 6 altogether! She spent 2 and half days hospitalized, under observation and sedated. We think that, regardless of how uncomfortable her treatment has been, she's already feeling and breathing better! This was the most expensive day of treatment, leaving a big dent in our resources, yet this lovely creature is what it's all about. Honey is now constantly asking for affection and getting it ;-) In about 3 weeks she will be tested again and we're keeping our fingers crossed for a new and improved Honey Bunny :-) ..THANK YOU! UPDATE 6/29: We ran some blood testing on Honey this past week in preparation for her spay surgery. There's good and bad news. The good news is that heartworm seems to be behind her and she's a healthy looking 73 pounds. The bad news is that she is still showing a strong positive for Erlichia (Tick Fever), so back on the meds she goes for another 30-60 days. 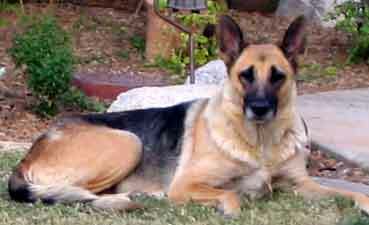 This could be the result of a compromised immune system while she was shedding the heartworms. We will do another blood test in a month, and if her titer has lowered, she will (finally) be spayed. Meanwhile, it's time for Honey's formal evaluation and to meet her public! Of course we've seen her under very stressful situations and we know how she gets along with cats, dogs and people, so all we really want to see is how she does in public places...Watch for her upcoming trip to the park. UPDATE 07/04: We paid our gal a visit today and boy does she look good! She's a perfect 75lbs now and has adopted Grandpa big time...doesn't want to leave his side. We microchipped her and delivered this month's meds. It was too hot to take her anywhere but she did show us her shy side; she would rather come to you to say hello. Or maybe she associates us with all those vet trips and wanted to head for the hills at the sight of us! I promised her only two more of those trips. Here's our "fat" gal...all smiles now. 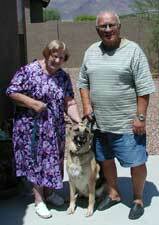 UPDATE: Honey's Grandma & Grandpa are now Honey's Mom & Dad! Once they heard that we were ready to start showing her, they simply could not part with her. She still has medical needs that we will continue to take care of until she is spayed and her Tick Fever is under control. 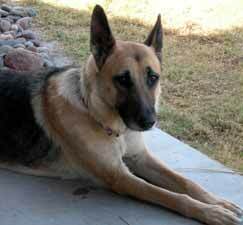 This will include her blood work, medication and spay surgery, so help is still needed and much appreciated. Honey & SWGSR send a huge "THANK YOU" to her rooting section for helping us to get her where she is..Bless you ALL. The good news is, HONEY IS HOME!! UPDATE 8/4: Honey's spay surgery was scheduled for August 2nd. The little stinker went into heat on Monday, August 1st, finally, after 9 months! Well, at least we know that she's healthy and all is working fine again. She is off all medications, no more Tick Fever and will be spayed at the end of August..providing she doesn't throw us another curve :-) YAY! !